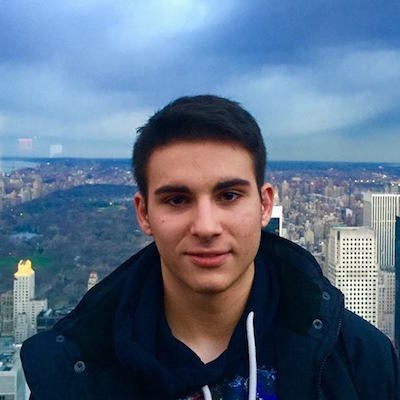 I'm Patrick Balestra and I am currently living in Stockholm, Sweden working at Spotify as an iOS Engineer. I previously worked at N26 in Berlin building Apple Pay support and at BCG Digital Ventures where I helped build the first version of the Coup iOS app used to book electric scooters in Berlin, Paris and Madrid. In 2018, I graduated from the University of Lugano in Switzerland with a bachelor degree in Science of Informatics. During my studies I worked as a part-time Software Engineer at Scandit where I built various projects related to the iOS Barcode Scanner SDK. Developing iOS apps has been my big passion for the last 6 years. I experiment a lot with every technology that is available to me. I am a member of the Swiss Mobile Developers Association and co-organizer of App Builders and The Swift Alps. In 3 years, these events have brought together over a thousand developers. I am a 2014/2015/2017 WWDC Scholarship Recipient and OSS contributor. Take a look at my blog, follow me on Twitter or feel free to contact me via email.